No. This is an awful idea. Today I had clients who owned a 1970 Plymouth Barracuda with a book value of about $17,000. 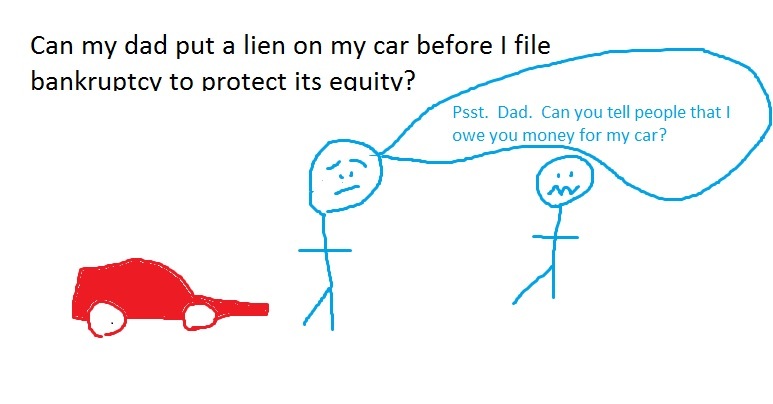 In bankruptcy, I can protect $3,000 of equity in the vehicle, since only the husband is on title for the car. About a month ago, their parents put a lien on the title of the car for $72,000, reflecting loans and financial assistance the parents had given them over the past few years. They thought that it was a good way to protect the exposed equity in this classic muscle car. It was not. First, on the Statement of Financial Affairs and Schedules (SOFA) which you file in your case, question 10 asks if you have made any property transfers in the past two years. 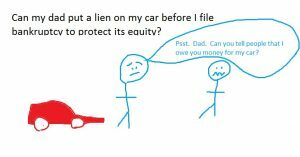 If you did make any transfers (like signing a lien on your vehicle), then the trustee will ask if that transfer was for fair value. If it was not, he can use his trustee’s powers to avoid the transfer. 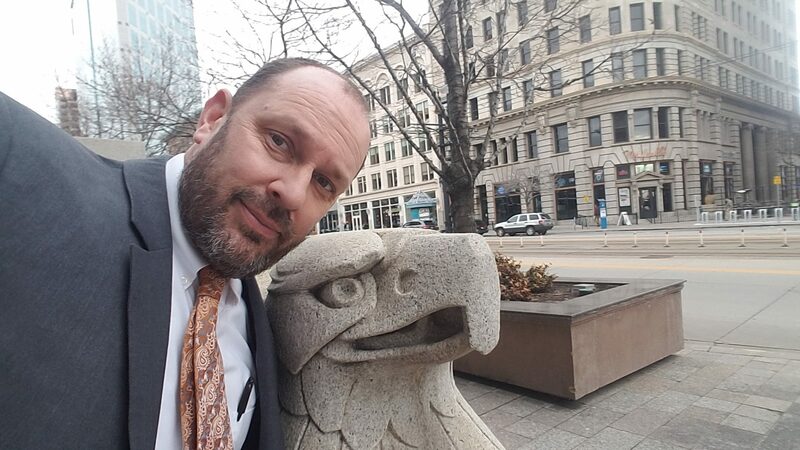 To get technical, under section 544 he can avoid unperfected security interests (called the “strong-arm” power), under 547 he can avoid preferential transfers, and under 548 he can avoid fraudulent transfers. So first off, if the parents didn’t file the “liened” title with the DMV, next, it wasn’t perfected, and finally, the trustee could avoid the transfer under his strong-arm power. Next, if the transfer was given to a creditor for a pre-petition debt, then this would be a preferential transfer, preferring this creditor over all the others. The trustee could avoid the transfer this way. Further, if the transfer was done to “hinder, delay, or defraud creditors,” then 548 allows the trustee to avoid the transfer as a fraudulent transfer. SOFA 3 also asks about payments made to any creditors, and the parents not only count as creditors but as insiders (they’re “Mom and Dad,” the definition of an insider). So, in short, the trustee could avoid the transfer and sell the Barracuda. The debtors would get $3,000 from the sale, and the rest of the money would be used to pay the trustee’s fees and creditors in the case. Now if the debtors had actually sold the Barracuda, there would need to be a bill of sale, filed with DMV. Money would have to pass hands, and the debtors would have to account for those funds with the trustee. In this situation, I advised that they could: 1. either file a chapter 13 and offer to pay the value of the Barracuda to their creditors in order to keep it (pay a pot of $14,000 to their creditors to protect the exposed $14,000 of equity, with payments of about $300 a month for a 5 year chapter 13 plan), or 2. actually sell it, spend the money, and then go bankrupt. This entry was posted in Utah Bankruptcy on January 7, 2014 by robertspaynelaw.